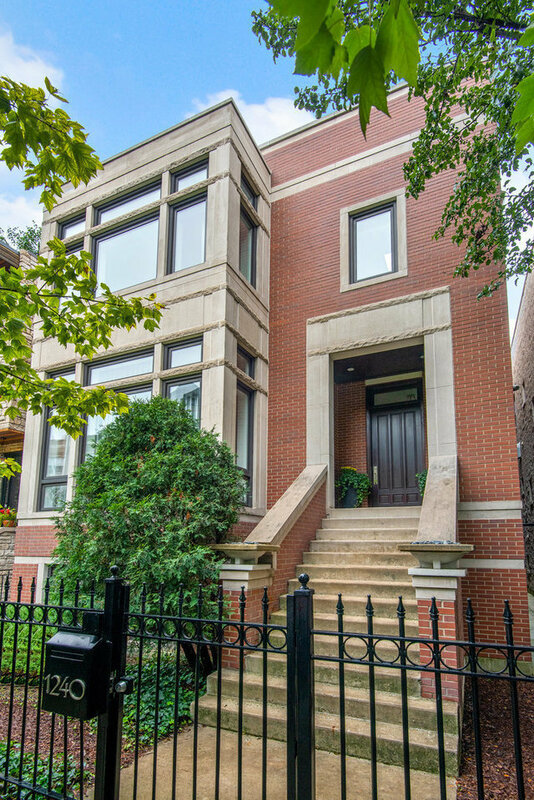 Stunning 28' wide interior custom home nestled between Lincoln Park & the Southport Corridor. This 5800 SF superb quality masterpiece is drenched in natural light. Enter into a 2-story, sky-lit foyer adjacent to oversized formal living & dining rooms. Beautiful De Giulio kitchen w/ 12' island, chef-grade appliances, walk-in pantry & desk niche. Adjoining great room features built-in banquet seating, fireplace & media center, all atop radiant heated floors. Elegant master suite boasts lounge area, grand walk-in closet & sky-lit master bath w/ double vanities, radiant heated floors, oversized tub & steam shower. Three additional 2nd floor bedrooms w/ en-suite full baths, walk-in closets, laundry center & linen closet. Bright, elevated lower level features generously-sized family room w/ entertainment center, 2 bedrooms, full bath, 2nd laundry room & secondary private entrance. Additional highlights include mud room, extensive storage, 3 car garage w/ deck above & rear yard.